The following statement was published on the Trade Union of the Tehran and Suburbs Vahed Bus Company’s website on December 23rd 2017. At the latest prison visit of Reza Shahabi’s family with him, there were signs of a new stroke in his body. The left eyelid is involuntarily closed, tears flow from the left eye, the left side of his lips is twisted, while walking his left foot drags on the floor, the left half of the face is swollen and numb, and under his left eye was sunken in. Shahabi’s first stroke on December 13th caused the left side of his face to swell up and the area below his eye to sink in. Again on December 14th, he had a nose bleed while asleep and a blood clot gathered in his throat, and despite the fact that the prison doctor had diagnosed his condition as serious and new complications were visible in his body. But he was sent to the hospital two days later, on Saturday [December 16th]. A specialist physician has prescribed radiography, special radiotherapy and tests for him but unfortunately, by the order of the prison governor, he was returned to jail and was not hospitalised and still the doctor’s instructions for him have not been carried out. At any moment an irreversible event may occur for Reza Shahabi, but the authorities of Tehran’s Prison and Prosecutor’s Office do not care. 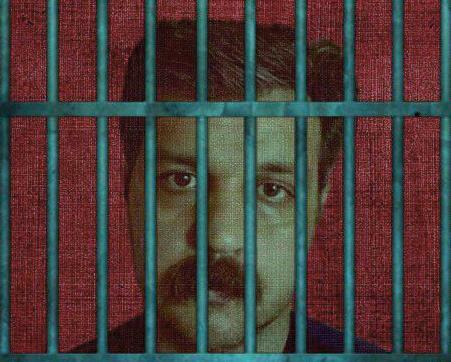 The Union condemns the neglect of Reza Shahabi’s illnesses and calls for immediate medical treatment for him.